It was a few years ago that I first had a double IPA that was sophisticatedly home brewed by my girlfriends brother in-law and his good friend in Southern California. I had consumed home brewed beers before, and some were decent. But this double IPA was deliciously impressive, as was the Brown Ale, and all the others I tasted. Now, fast forward to the present day - my then girlfriend is now my beautiful wife, and those talented brewers and their beers now have a name. 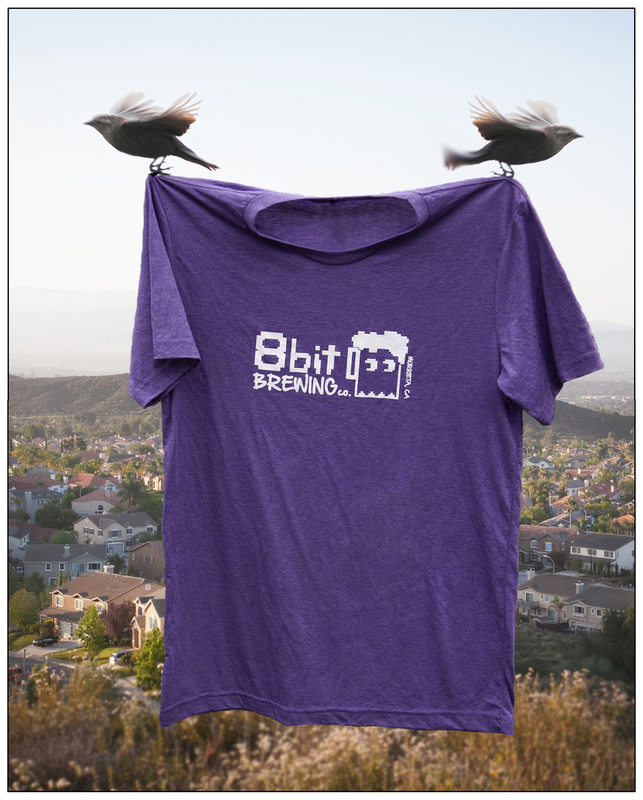 They are 8 Bit Brewery in Murrieta, California. When they asked if I would be interested in photographing for them, I was stoked! Its awesome to see them grow from home brewing to opening a craft brewery, and I am excited to be a part of it. 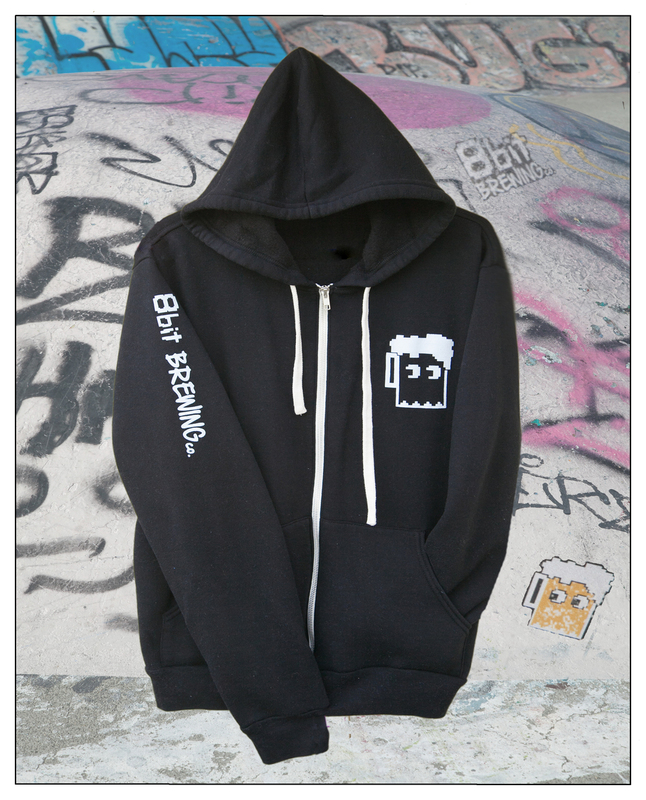 The most recent project was to photograph their brewery logo t-shirts and sweatshirts. They were looking for creative and unique images to showcase their business merchandise - something outside the box. I had a few ideas to work with, but when it was all said and done there were 2 overall compositions that worked best. I learned a couple of things working on these images. First, photographing birds in flight is difficult, especially when there is a certain perspective needed. I ended up with hundreds of images of birds flying away. Even a well thrown pebble from my lovely wife sent the birds in the wrong direction. But Finally and somewhat by luck, I got a workable image. And second, its hard to get out of a skate park pool the day after a 50 mile bike ride and a soccer game. So when you find yourself in the beautiful town of Murrieta in Southern California, visit 8 Bit Brewery. I recommend the double IPA. Cheers! For more information on 8 Bit Brewery in Murrieta, CA, please find them on Facebook at www.facebook.com/8bitBrewingCompany or visit their website at www.8bitbrewingcompany.com.